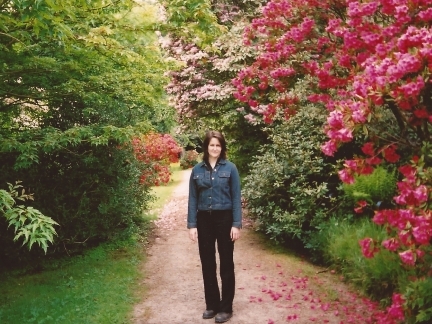 This mainly woodland walk on the grounds of Brodick Country Park was done on a day trip to Arran. Walk Detail: It had only been a couple of months since I'd first taken up walking in preparation for doing the Yorkshire Three Peaks. In that time I'd already been bitten by the walking bug, though perhaps not enough to have planned some more adventurous walking whilst spending a week in North Ayrshire. The only walk we did do was this pleasant walk, having hopped on the ferry over to Arran as foot passengers, which was mainly in the wooded grounds of Brodick Castle before walking back along the seafront into Brodick. 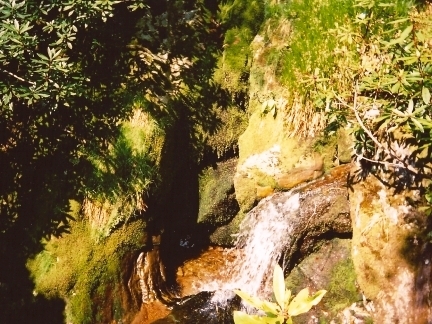 One of the highlights of the walk was the delightful wooded gorge of Merkland Burn. We also stumbled upon a field of highland cows which was a treat. From the highest points on the walk we also got some good views of Brodick Bay. 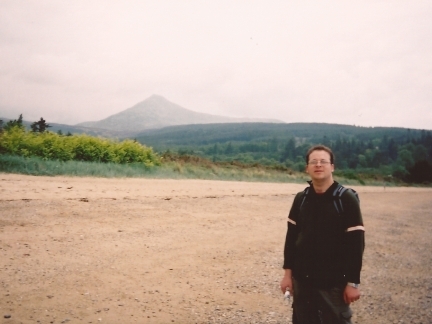 However, it was the outline of Goat Fell, as the ferry approached Brodick, that most stuck in my mind and it was this taster of Arran that would later result on us spending a week on the island in the autumn of 2006. One personal point worthy of note was that this was the first time I used the Berghaus rucksack that I had purchased the previous day in Ayr. As of 2012 I'm still using it.